James Pritchard is a final-year Sociology student who completed the Warwick Undergraduate Internship Programme during the summer vacation. He worked as the Social Media Intern in Student Careers & Skills, having previously worked with us as Student Careers Representative for the Department of Sociology . He is passionate about issues in higher education and wanted to gain work experience in the sector. James discusses what he learnt and what skills he gained . 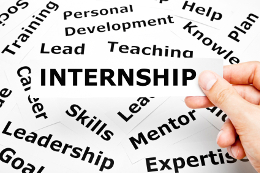 This is another in our series of guest blogs reflecting on internships. Why would you work in HE? For most students thinking about summer internships and graduate jobs, higher education doesn’t spring immediately to mind as an obvious destination of choice! However, the insights you can gain from working in university administration are unique and I would recommend the Warwick Undergraduate Internship Programme to all! As students we see the university as a provider of teaching and learning – that’s pretty key to us! My internship gave me a much broader understanding of what else is going on “behind the scenes”. Increasingly universities are competing for the best students and league tables ensure that spotlights turn on student experience and outcomes. This is all part of a changing political landscape for education. The insights I gained through this internship in HE will be valuable experience relevant for many career paths in both the public or the private sectors. It’s really important to understand how an organisation must respond and adapt to change to ensure its continued success. Engaging with social media is essential. My role as Social Media Intern was a new position and represented the department’s strategic objective to “be where the students are” – that’s in the digital space! As little as ten years ago, such a job title wouldn’t have existed. It’s hard today to find a student without a Facebook or a Twitter profile so social media is an incredibly useful tool for reaching the student body. It felt particularly rewarding to carry out a key piece of work, looking at how to use the department’s online presence to engage students in career-planning. My degree subject was useful and relevant to the role as Sociology has a strong emphasis on research methods. One of my tasks was to design and carry out a survey looking at current student engagement with the department’s social media, and then to analyse the results. Sociology is also a very analytical subject that encourages you to think deeply and critically about processes and alternatives. One conclusion from the survey was that there was a mismatch between when social media content was published, largely during the working day, and when students are most likely to see and act on it. Evenings and weekends were when those surveyed were most likely to think about career-planning independently, rather than when they’re busy in and out of lectures! As a result, the department now uses a social media scheduling feature to post at times when students are most likely to be influenced by the content they see. Whilst I have always been fairly confident with technology, video recording and editing always seemed a little daunting to me and certainly felt outside of my comfort zone. However – coming in at seven o’clock in the morning to film on a peaceful and empty campus, meticulously playing around with iMovie and chopping up different clips actually turned out to be one of the most enjoyable projects I got involved in. I got to grips with it all really quickly! I found myself working with the IT Officer to plan, film and edit a clip for the department’s YouTube channel and dispelled the feeling I had about myself that I wasn’t creative or techno-savvy enough to make videos. It is always rewarding to see a task through to completion and to know that you have been instrumental in the end result. It’s an added bonus that the video will serve me well as a concrete and demonstrable example of one of my achievements. When you have the chance to throw yourself into something completely new to you, it’s too good an opportunity to miss to not give things a go! The internship also gave me many opportunities to brush up on my communication skills. I delivered several formal presentations, this is going to stand me in great stead for interviews and assessment centres! I presented my project outcomes and recommendations to senior colleagues in the department, and on another occasion to the group of Student Representatives from academic departments. It was particularly challenging to adapt the tone and content according to the audience I was presenting to, when the topic itself was the same. Even the informal conversations you have with colleagues in the office really play into your personal and professional development. Being likeable and approachable and getting on well with people are probably just as important as being able to do the job well. Working in an office was something new to me as my previous work experience has been in classrooms and on the shop floor. However, both of these settings clearly also require good people skills. As I already had experience of working with colleagues at all levels and developing positive working relationships, adapting to the office environment was a smooth process! Although the Warwick Undergraduate Internship Programme ultimately offers a taster of a career in higher education, the benefits of the experience will be far-reaching and it has enhanced my sense of commercial awareness. The programme was enjoyable throughout and enabled me to accomplish a great deal and to develop many transferable skills. Campus is where I’m used to spending time attending lectures and swatting in the library, so it was a unique experience to be perceived by the team as a colleague, rather than a student. Tags: Applications, Career planning, Employability, Graduate Recruiters, Internships, Skills, Work experience. Bookmark the permalink. Previous post ← How an open mind and the right attitude can open doors for you.